Welcome to the Bee Bus Mission. My name is Ellie Lobel. For those of you who are new to this Mission, let me bring you up to date. The Bee Bus Mission is about saving the lives of those who are disabled and dying from a tick borne bacterial infection called Lyme disease (Borrelia Burgdorferi) and other co-infections. We save lives through education about Bee Venom Therapy (BVT) and the profound effect it has on tick borne infections. The Bee Bus Mission also educates people about the plight of the bee population. Most people will be surprised when they discover that those utilizing BVT are an important part of saving the bees who in turn save those who suffer. Many people do not realize that Lyme disease is now a worldwide pandemic. It meets all 8 criteria of the NIH to be classified as a pandemic. It is the fastest growing vector borne disease and has been noted to infect at least 300,000 people a year in the USA. Most in the Lyme community believe this number is much higher. I, too, was a victim of Chronic Lyme, as well as a common co-infection called Babesia. Babesia is a cousin to Malaria and is a fatal infection. I spent 15 years battling these tick borne infections at an outrageous cost to my finances, my health and my quality of life. Over those 15 years, I utilized every treatment known to man. In May 2012, I was in multiple organ failure and congestive heart failure with no available treatment options left. Doctors gave me 3-4 months to live. I was out of money, disabled, and broken in every aspect of my life. There was nothing left to live for. I accepted my fate and found some relief in the fact that my death was only a few months away. I let go of all hope and was ready to be free from the suffering and pain. In early June 2012, I was living in Southern California and waiting to die. One day I was in need of fresh air, so I shuffled outside with the help of a caretaker and was attacked by a swarm of killer bees. As horrifying as this was, little did I know at that moment it would be the one thing that would change not only the fate of my life, but the fate of many Lyme and tick borne disease sufferers worldwide. Days after the killer bee attack, I noticed that my mind was clear and I was able to think. It had previously been foggy and had severe cognitive deficits (Lyme brain). I also had a brief respite from constant pain and could only link this to being stung by the killer bees. Based on my education and a natural propensity toward problem solving, I began to research and study anything I could get my hands on relating to bees and bee venom. Through much trial and error, I stung myself with bees for 2 ½ years and was able to rid my body of Lyme and Babesia. I was restored to health once more. The outcome of my experience was the development of the Bee Venom Therapy (BVT) for Lyme Disease Protocol. I created this protocol so that other Lyme sufferers could follow it and get well within safe parameters. In March of 2015, the Bee Bus Mission was born. I set out on the road to help as many Lyme sufferers as I could. I began to spread the word and teach BVT to those who were broken from this disease and left without hope. I spent two years on the road. It was just me, my old truck and the bees. I spent many a night in rest stops, sleeping across the front seats. I traveled in inclement weather and did not allow snow, sleet or ice to stop me from getting to the next Lyme sufferer. It took everything I had, but I could handle it because I was well and healthy. I pushed my beloved truck out of an intersection when the fuel pump went out and even slid into a rest stop one night when icy roads made it impossible to travel. That old truck saved me from a fatal accident and together we made our way across the country. I was on a Mission! I look back on those two years and know that it was a journey I will never forget. It wasn’t glamorous by any means, but I wouldn’t trade it for the world. There is no greater joy than bringing hope to one who has lost it and offer an end to the horrid suffering that comes with Lyme disease. I feel blessed that I got to be the bearer of good news for Lyme warriors and their families. A book on Bee Venom Therapy (BVT) for Lyme disease is underway. We are working hard to get this done so we can get the information out to the masses. We have a great support group with over 5900 members and growing. Nothing beats the support of your fellow warriors and those who know what you’re going through. We also have a documentary in the works. The trailer is filmed and moving along nicely. My story has been written up in every major publication across the world. Radio happened along the way as well. A big thank you to NPR. It was fun to be in a real radio station in Kansas ( minus all the rain) doing this with the guys at SnapJudment in San Francisco, Ca. So grateful for all the print/internet write-ups helping spread the word about BVT for Lyme. So, as things progress, our tick problems are escalating. Many reports are saying this is going to be the worst year for ticks then ever before since the tick population is exploding and there are still no real answers for tick borne infections in Western or alternative medicines. Bee venom therapy is our greatest hope to survive. The 3 1/2 years of research at the New Haven Univeristy on Bee Venom and Lyme is in peer review awaiting approval and publication. Animal testing is now underway. Working together, I believe we can accomplish these goals. I am so grateful to each and every one of you who have supported the Bee Bus Mission. We would not have made it to this point without you. Your continued help is much needed and appreciated as we continue to grow. Thursday March 21st at 7pm At the Beekeepers Association of Central Az. This will be all on donations so if you are able to help out and donate here, that would be great. We had such a fantastic turnout at this event 2 years ago. If you are in or near the area, see you there. Looking forward to it. Update: Our research was published the end of Nov in a peer reviewed medical journal showing Bee Venom's effectiveness on the Borrelia Bacteria. The animal testing is underway now as the Zebra fish lab has been up and going for the past 6 months already. Its great to have science validate what we know. Onward and upward. Thank you everyone who donated over the Holidays, we were able to send out many gifts to those who are having a rough time. Nothing is better then lifting others up and letting them know they are cared for and that we are there for them. Getting a surprise pick me up gift when your down can do a lot for the human spirit when your fighting for your life. We also were able to send a really nice gift to one who is helping a very special Lyme friend to get better with bvt. She is an amazing caregiver and does so out of the kindness of her heart. We made her Holiday extra special thanks to your donations. 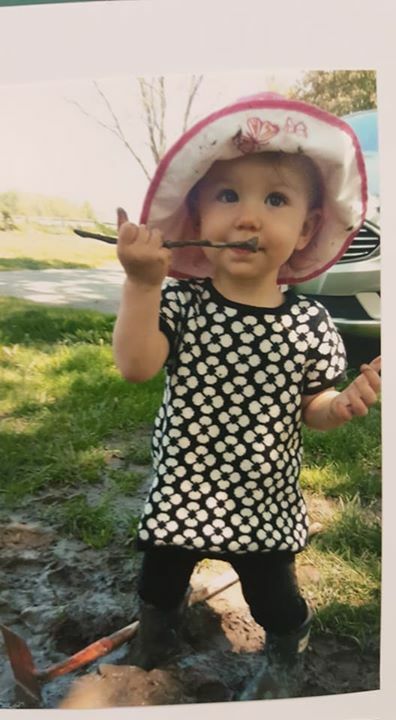 It was a great Holiday season even though Andy and I had to go to the funeral of my little namesake, Ellianna : aka Little Ellie Bee, that was so heartbreaking to say goodbye to that precious little one only 22 months old, she died in a tragic vehicle accident and right before Xmas too,. Prayers for her family are so welcome and appreciated. However with the help of a dear soul and fellow BVT'er, gifts still got mailed out even though we were on a plane. The caring does not stop due to the Holidays being over either, we still see those in need and something we can do to help them. We were able to send a nice electric blanket to a fellow Lyme sufferer who is in the coldest part of the country, those with lyme have a really hard time with the cold weather. Your donations have made a difference in many lives. My mother always said, if your having a tough time, reach out and help someone else. Helping others has certainly helped me to deal with the death of my little Ellie bee so thank you for allowing me this opportunity to do so. Our bvt for Lyme group has almost doubled this past year to over 5700 members worldwide and growing, yes people are regaining life after Lyme and many are getting well with bvt. BVt has saved lives where there was no hope before. This keeps us pushing forward. With your help and your donations, we are changing lives in many ways. Happy Holidays, we hope that you have a new found lease on life this year thanks to BVT, that many will be able to enjoy and participate in this years festivities. We have so much to be thankful and grateful for. I truly am so grateful for all the love and support I see from so many who have embarked on this journey to healing. As the Holidays are approaching there is so much we can do to help others along. Is there any greater gift then the gift of life, hope that the suffering will end and a quality of life restored. This can only happen with the continued support of those in our community. Thank you to everyone who has helped out and to all that continue to help us reach as many Lyme sufferers as possible. Lets spread some Holiday cheer, your donations help us do that. Thank you and many blessings. I was very late-stage before being correctly diagnosed with Lyme disease and multiple co-infections and despite 5 years of aggressive, ongoing ($20,000 a MONTH) treatment I failed to recover or reach remission. Just when I thought all hope was lost, and as my health was spiraling downward, Ellie Lobel stepped in and shared bee venom therapy. Ellie is a Godsend and an Angel. Thanks to her and the bees I'm regaining my health and my life. I am now seizure-free, no longer light sensitive, no longer need pain medication, adrenal fatigue is resolved, and the list goes on and on. Ellie Lobel saved my life and raising funds for a bee bus will help save countless others. There is life after Lyme, but only when people have access to effective treatment. Ellie, thanks for all that you do and allowing us to access the BVT protocols you have developed so we can follow your programs. Hope the donation to your beebusmission helps keep you on the road spreading the BVT knowledge! I had a stroke and Ellie's been doing bvt on me and it helps with the diabetic. Neuropathy and circulation. Your mission i a very important one . God bless you. Ellie thank you so much for driving across the country to see us in California and teach us about the bees. So many of us Lyme warriors now have a new answer. We bee-lieve in you! And, from the bottom of our heart, thank you for traveling and living out of the camper just to help us. We know its not easy for you. HI ELLIE! WHERE IS YOUR LOCATION AT NOW? WILL SEND A DONATION! I AM A FIRM BELIEVER IN BVT FOR ALL PAIN! WILL MISS GETTING STINGS AS WINTER HAS SET IN! MARY REED FARMINGTON,MO. IS MY BEE-LADY! Hi Ellie! So excited to find your page. I will be donating once I get my tax return. I was diagnosed with Lyme in November, 2 years after my symptoms developed. I moved to TX summer of 2013 and after many Drs here was refered to my LLMD. I was starting to get better but hit a wall. Since being here I have met 2 women at my church who have Lyme, one ladies daughter also has it. My son is being tested in June as I beleve he also has it. I have also sat at the the infusion center by my Dr listening to many horrible Lyme stories. I would love to get you to Houston so maybe we could start our own movement here with bees. I shared on FB and hope to get your story out there! I have come to know several people that are using BVT and the results are phenomenal! 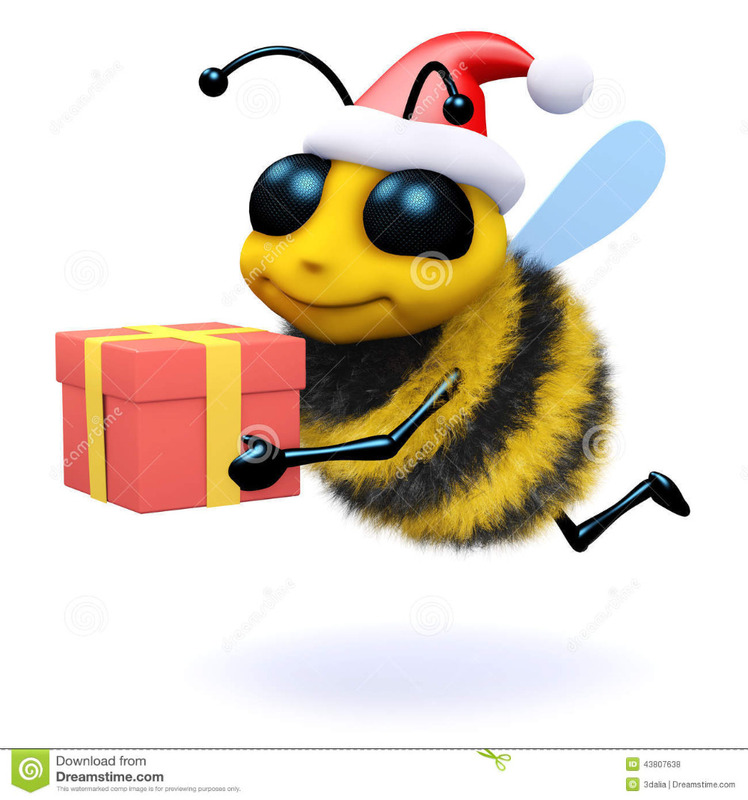 I believe everyone can benefit from the gift that bees can give. Thanks for all you do Ellie to get out the word about Bee Venom. God bless you and your work. Ellie, you are truly blessed to do God's work.